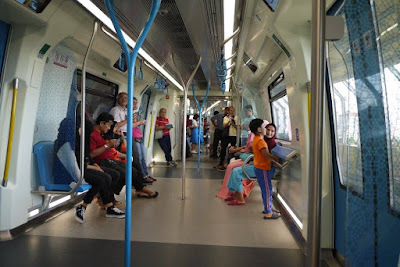 When I heard that the new MRT line has started on last Monday, 17th Jul 2017, I can't wait to try it out with my friends as it was FREE on the first day of launch. 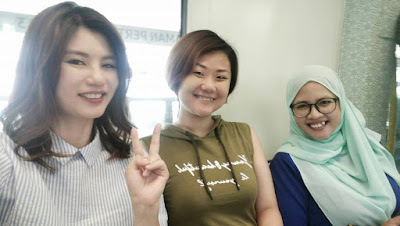 So, I dated Wendy and Syahirah for a fun MRT tour that evening. 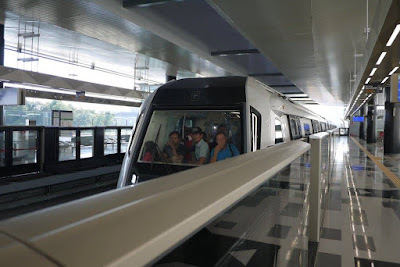 We started our journey from MRT Muzeum Negara station. First impression? 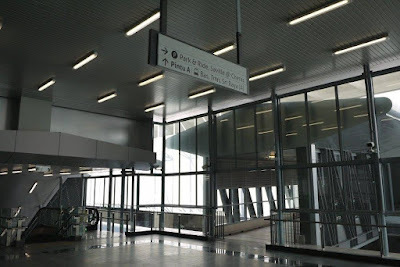 Very clean, huge and modern MRT stations, even better than what we seen in Korea, Japan and the UK. Most importantly, the air cond is so cold which is really best for our warm weather here in Malaysia. We traveled from Muzeum Negara to Cheras. 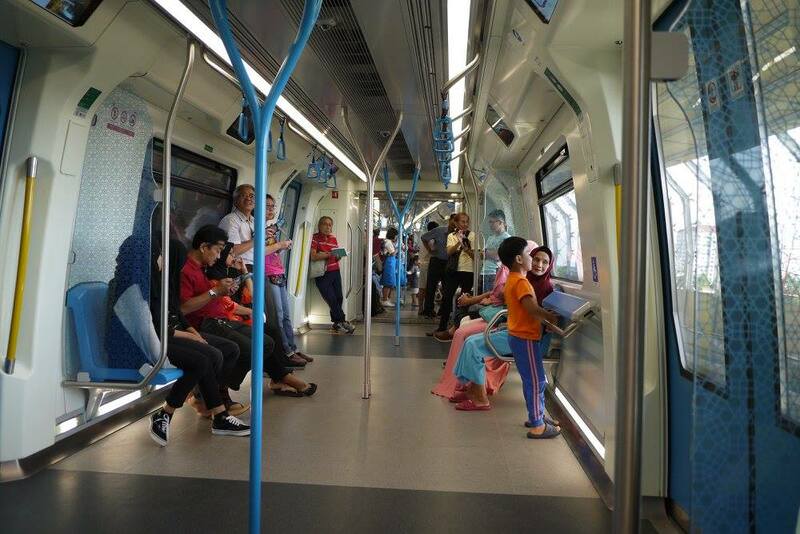 Along the journey, we have seen a lot of people also having fun riding on the brand new MRT. The first stop, we got down from Sri Raya, Cheras. 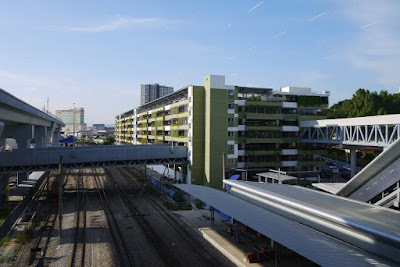 It is quite a huge station as it links to the Saville @ Cheras Condominiums with a sky bridge. 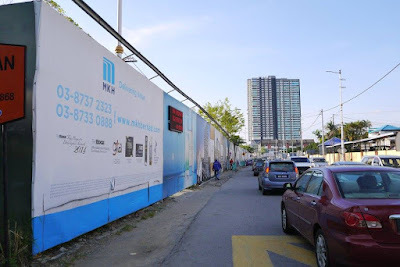 Imagine staying here at the condominium, it will be so convenient to stay here as my girls could go to school with MRT line just next to our house. It is hassle free from the heavy traffic on the road, and it took just less than 30 minutes to reach the city center, just so cool! Then, we continue our journey to Kajang. The Kajang station is realy huge as it is linked with KTM station. 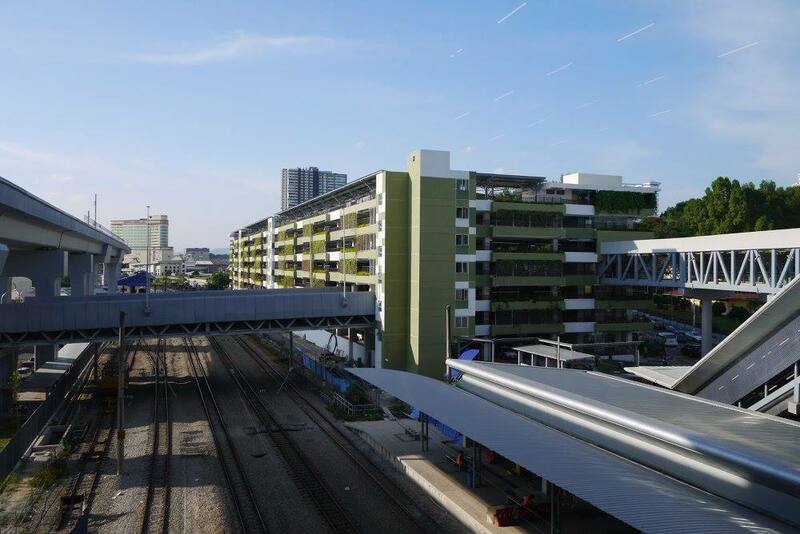 We were amazed with the greeney and large multi level car parks which is just besides the Kajang station. 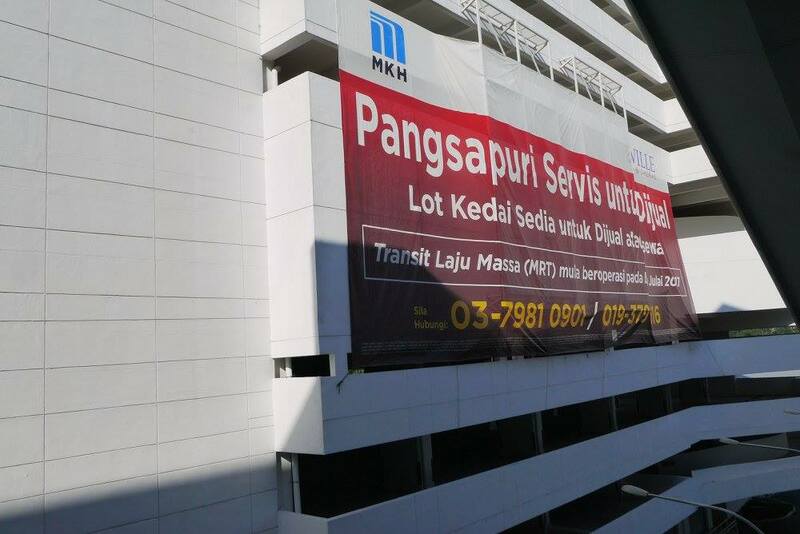 We heard that the car park is always full as Kajang people utilising the public transport to go to work daily. Such a good and environmental friendly option to travel around. Walked out from the Kajang station and along its car park, we seen the MKH Boulevard 2 which is under development. It is so conveniently just located next to MRT station. Furthermore, it is near to a few schools that is a great news for parents like me. 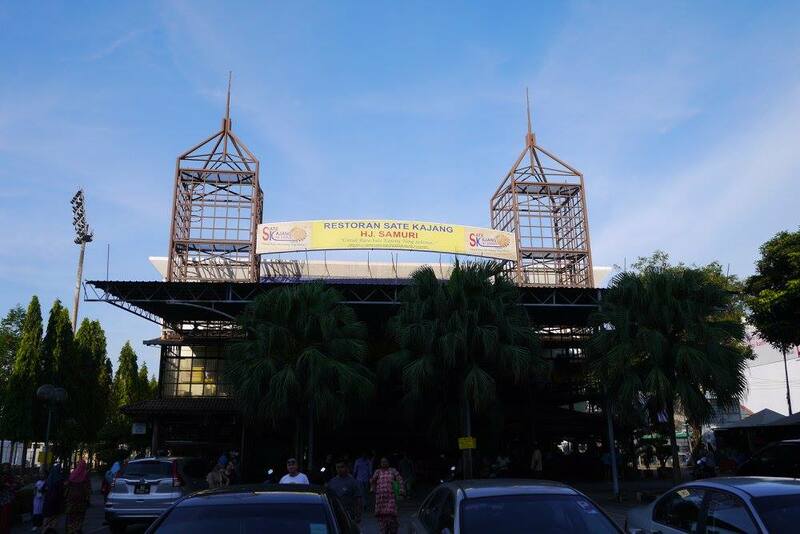 Our journey ended with a cari makan at Stadium Kajang. We wanted to have some satay but too bad the HJ. Samuri satay is opens at 7pm only. We wish it will extend its business hour for travelers like us ya. That's our #JomNaikMRT girls' trip. Have you tried out the new MRT? If you have not try it out yet, they are having 50% off promotion on the tickets from 18th Jul 2017 until 31st Aug 2017. Try it out and let me know your story too ok, XOXO. Hi Rane, we would love to share your blog post ! Isn't it so convenient now that there's Mrt? It's great too see you all enjoying! 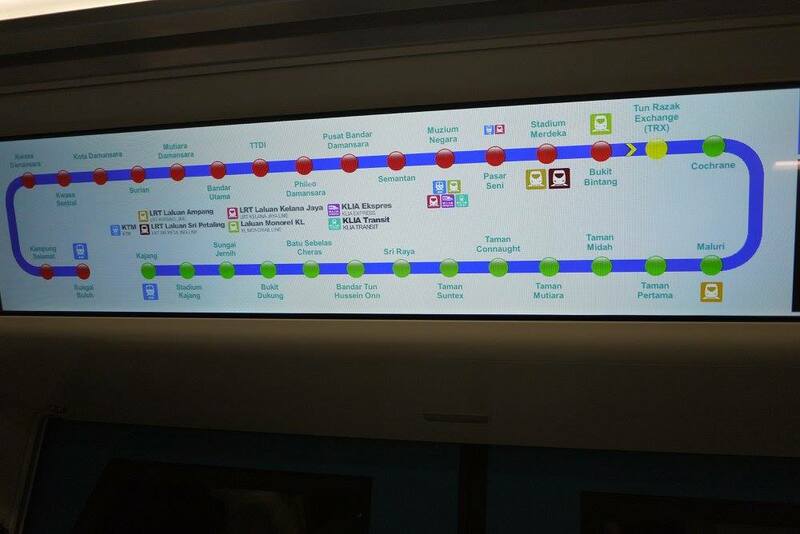 I haven't tried the MRT yet but the new MRT station is just 5 mins away from my home! It's really good seeing that our country expanded their LRT. I frequently use the MRT in BKK and SG, makes life easier skipping all the jam. Girl's trips are always the best. In this case, looks you had a fun ride and the MRT station looks so vibrant and clean. Cheers!! Seems like you really enjoy your travel! 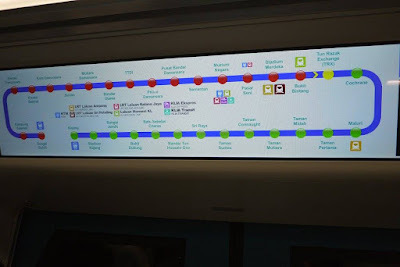 Nowadays, MRT became a necessity for commuters. It brings you to your destination hassle free!